Sunday the 7th of April we removed 49.1 KG of waste and 19.5 KG of recycling from Bondi Beach, Sydney. This included 5,403 bits of litter, 3,125 of which were cigarette butts! We participated in the Bondi Blitz Festival thanks to the support of Waverley Council and their Second Nature campaign. It was our 48th event and we’re so stoked to have been involved in such a fun day. 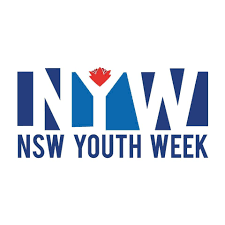 Bondi Blitz Festival is a part of the WAYS Youth Week which is an opportunity for young people to express their ideas and views, act on issues that affect their lives and create and enjoy activities and events. We had 72 participants and 14 volunteers on the beach. It was interesting for us to see that in Bondi there were a lot of small microplastics, cigarette butts and single-use plastic items from the nearby shops and cafes. Out of our 72 participants a massive 46% had participated in a beach clean before which is huge! This shows us Bondi is an active community that cares about the environment in which they live.